What is an Air Quality Alert? If you’ve lived in the United States for any substantial period of time, you’ve probably seen an air quality alert warning come across on your local TV or Radio station. But, what is an air quality alert? We’ll tell you everything you need to know. Every day, the Environmental Protection Agency (EPA) monitors the air quality throughout the U.S. and reports it online at AirNow.gov. This data is then used to alert you on how dangerous the air around you can be to your health. To make it easy for you to determine how bad the air quality is in your location, the EPA developed a color-coded system that relates to pollution levels. There are two things that contribute to harmful air pollution and impact the level of an air quality alert. 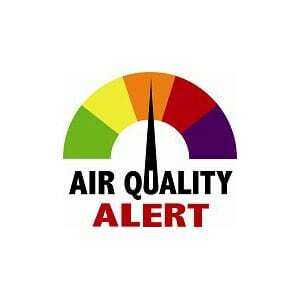 Ground-level Ozone – High levels are the most frequent cause of air quality alerts. It’s created by vehicle exhaust emissions and industrial fumes, as well as chemical reaction of Nitrogen and Volatile Organic Compounds (VOC) in the presence of sunlight. 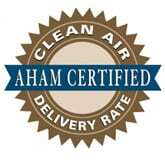 Particulate Matter – This consists of pollutants such as soot, ash, smoke and dust. Often it’s caused by chemical processes or the burning of fossil fuels. An orange or red alert day are usually the most common color codes you’ll see in your local area. Often a green or yellow alert is not reported since it doesn’t make much in the way of news. A purple alert is very rare, but has occurred in extreme environmental pollution cases. Staying indoors and keeping your house air tight will help prevent a majority of outdoor airborne pollution from entering into your home. However, it doesn’t keep you 100% safe from the airborne toxins. In order to really protect your health, you should consider investing in a home air purifier. The best quality devices can remove up to 99.97% of particles from the air that are most harmful to your health. If you’re especially sensitive to airborne contaminants, or just want to ensure that air within your home is not polluted, adding an air purifier is the smartest thing to do. Not only will an air purifier help you stay safe during high air quality alert days, but it can also reduce common indoor pollutants that are known for making you feel ill such as allergens, dust, chemical gases, mold spores, bacteria, and smoke. To find out which air cleaning device is best suited for your needs, take a look at our list of the best home air purifiers. 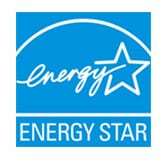 This list showcases the highest rated products you can buy today that will keep your indoor air safe to breathe. What is Indoor Air Pollution? What Causes it?